Production company JK Film on Monday filed a copyright lawsuit against director Lee Myeong-se, who dropped out of a big budget movie project last month. The lawsuit is aimed at regaining the copyright of the 10 billion won ($8.8 million) movie, titled “Mister K,” from Lee, who “illegally and secretly registered” himself as its copyright holder in April, according to the production house. The legal battle was sparked after JK Film ― which is run by celebrated director Yoon Je-kyoon ― had a series of conflicts with Lee over the concept of the upcoming blockbuster. Lee dropped out of the project last month after 11 sessions of filming in Korea and Thailand, which started in March. According to JK Film, Lee secretly registered himself as the film’s copyright holder through the Korea Copyright Commission website after quitting the project. “Mister K” gained attention when its production was announced by JK Film earlier this year. It was a 10 billion project involving investment by the movie industry behemoth CJ Entertainment. The film was to feature big-name stars Moon So-ri, Sol Kyung-gu and Daniel Henney. Cineastes and critics were especially excited about the rare collaboration between Lee Myeong-se and Yoon Je-kyoon ― two heavyweight film figures who are very different from each other. 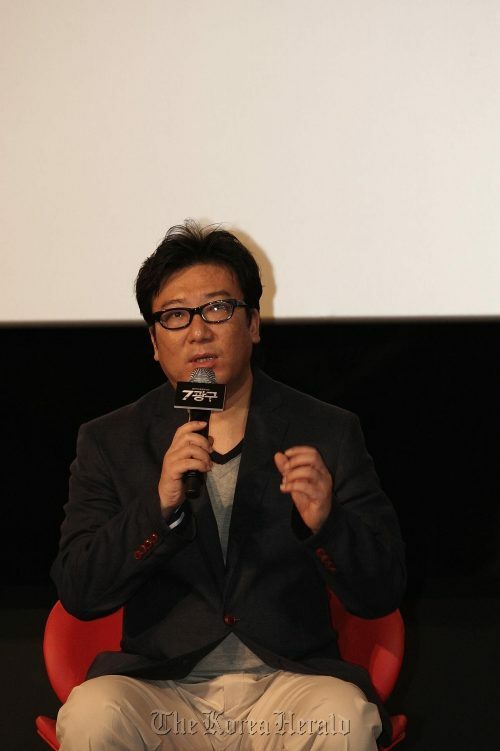 Yoon is known for his commercial blockbusters “Haeundae” (2009) and “Sector 7” (2011), while Lee is famous for his aesthetically conscious mise-en-scene and style shown in “Duelist” (2005) and “M” (2007). The two, however, could not overcome their differences in approach. According to Han, Lee refused to follow the original script, and completely ignored every cinematic and stylistic request from the producer. “The film was going to be an action comedy with realistic characters, something like the James Bond series,” said Han. JK Film said Lee would receive the lawsuit document in the next two weeks. Director Lee Myeong-se and his company, Production M, were unavailable for comment. Lee had planned to hold a press conference to tell his side of the story on Monday, but called it off at the last minute. JK Film said the shooting of “Mister K” will restart in mid-May, regardless of the lawsuit. The leading actors and actresses are remaining for the same roles.